Erik Buell Racing, the company borne of Buell Motorcycles has gone into receivership, similar to bankruptcy, and has announced it will be selling off its assets and laying off its 126 members of staff. The news comes as a shock to many in the motorcycling world, with many previously thinking EBR was on the rise. The company had partnered with India-based motorcycle giant Hero MotoCorp less than 2 years ago and only last year had opened a European office that was tasked with building the brand identity on that continent. East Troy, Wisconsin-based EBR is seeking protection under Wisconsin's Chapter 128 provision, which is similar to federal bankruptcy law. According to the company's filing, EBR has more than $20 million in outstanding liabilities. "We thought we had secured funding, but in the end, we were not able to get the funding in place," Erik Buell said in a statement released Wednesday. "Therefore we need to do the best we can under the circumstances for all parties in interest." EBR came into being in 2009, shortly after the Buell Motorcycles brand was scrapped by Harley-Davidson, which had held a controlling stake in the company for roughly a decade. 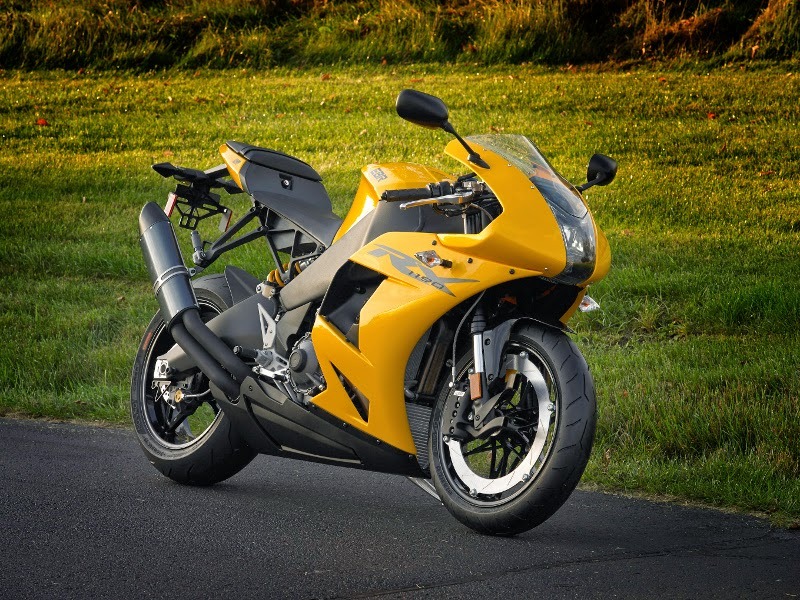 EBR originally started out selling high-end racing motorcycles for roughly $40,000 a piece, but had recently put effort into delivering products targeted at a wider audience. Both the supersport 1190RX and naked 1190SX had received positive reviews from moto-journalists, and many fans were looking forward to a proposed adventure-styled 1190AX model which was expected to come out either this year or in 2016. In 2013 it partnered with Hero MotoCorp and began to work on a number of mutually beneficial projects. EBR had performed well in the racing circuit in recent years, managing to compete against much larger, better-financed brands. However, it had yet to capture the imagination of many sport riders, who are more familiar with European and Japanese brands. "To say this setback is a disappointment does not begin to express what I feel right now," Buell said.